Today, I’d like to point you to a handy little book from Art Rainer. 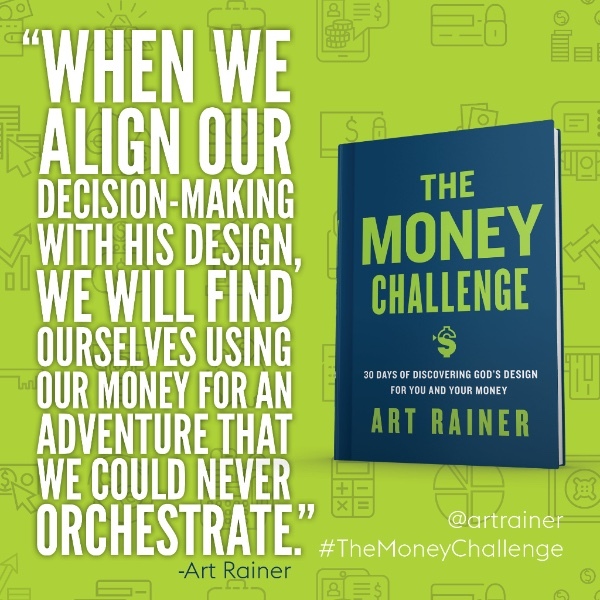 It’s called The Money Challenge, and it’s from B&H Books. Now, it’s a short book, so I’ll honor that with a short review. Rainer’s basic goal is to help Christian people see the ways of God in the use of money. It’s broken into three sections: Give Generously, Save Wisely, and Live Appropriately. Rainer has found these to be a good outline of how God intends for Christians to use the money He gives them. These are excellent principles for Christians in understanding stewardship and it’s a great introduction for those who have never examined Christian stewardship. There is not a lot of new information here for those who have learned about Christian stewardship. However, stewardship is about tried and true principles, so the lack of new ideas is not a problem. In truth, Rainer has artfully repackaged these with a story about Annie and her learning the principles of stewardship through a 30-day money challenge. Her challenge becomes the structure of the book and the challenge to you, the reader. It’s well-written and an easily digested book. That’s not to say that implementation will be a cinch. In fact, that’s always the hardest part of money management. I can spout the principles well enough, but putting them into practice is the hard part. Using Rainer’s book as a template, though, one can easily start into the behaviors that will set a long-term pattern. As is usually the case with a book like this, the principles are far easier to put not place if you aren’t years behind. All in all, this would be an ideal group study for a church young adult group—probably even to start with older youth. And then a follow-on for so many of us in the adult range who need to get straight what matters most! 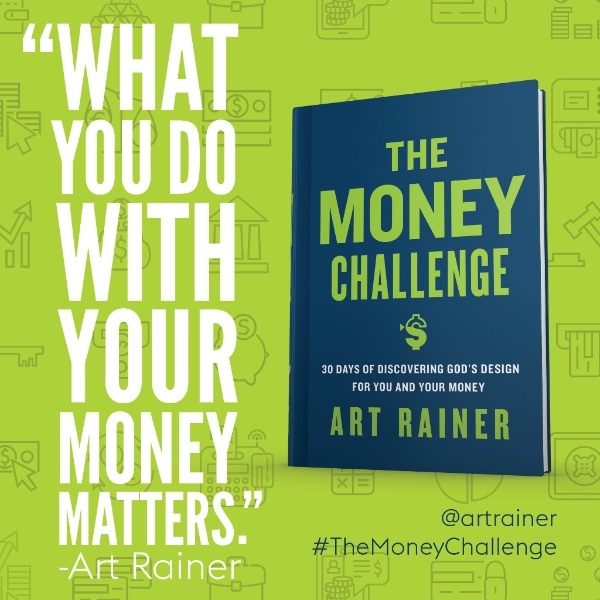 The Money Challenge is available from Lifeway and other book retailers, B&H gave me a copy exchange for the review. SBC17 Trip: Headed out to Phoenix!